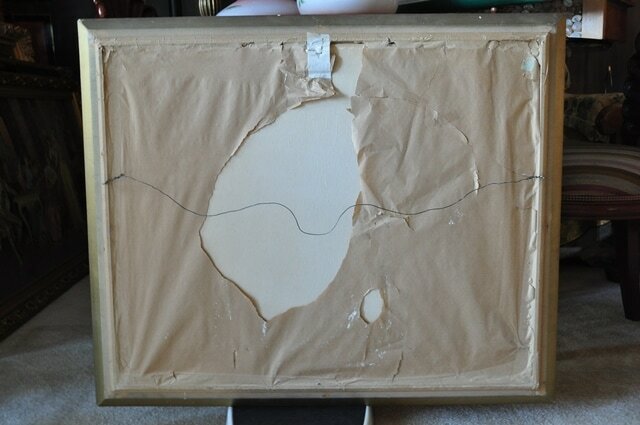 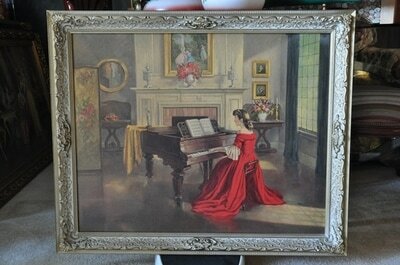 This is a vintage artwork on board of the painting Sonata by M. Ditlef. 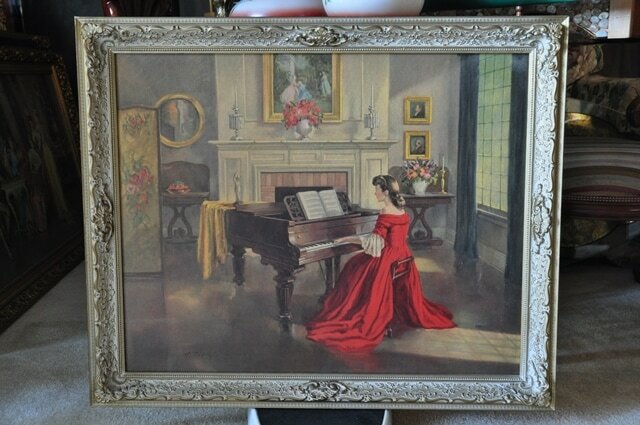 I think it is a print or a lithograph. 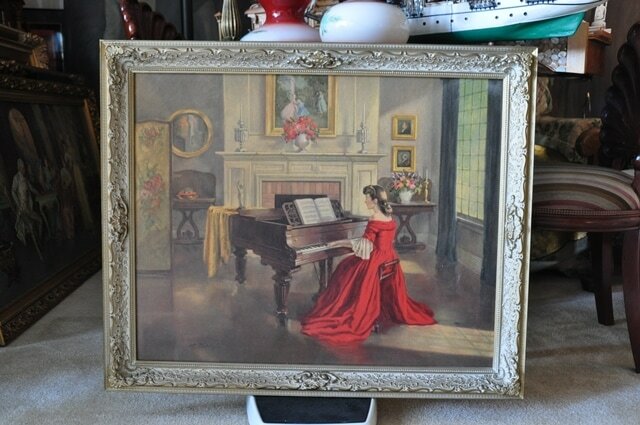 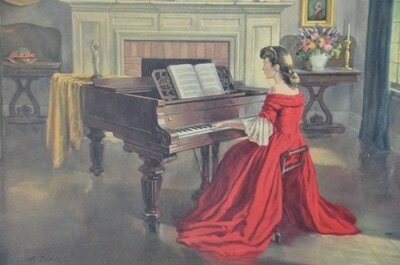 It shows a lady dressed in red playing a piano. 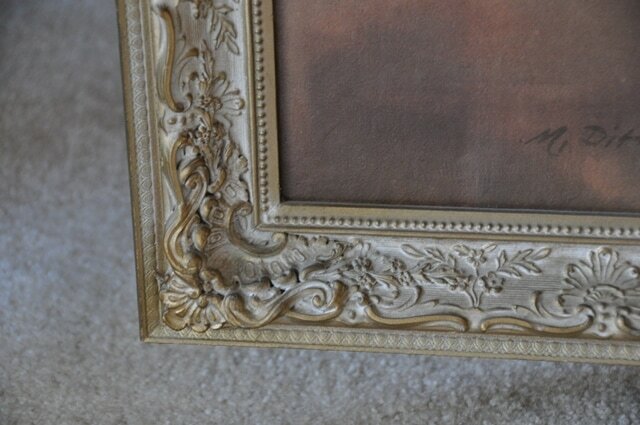 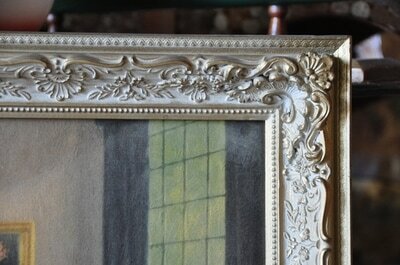 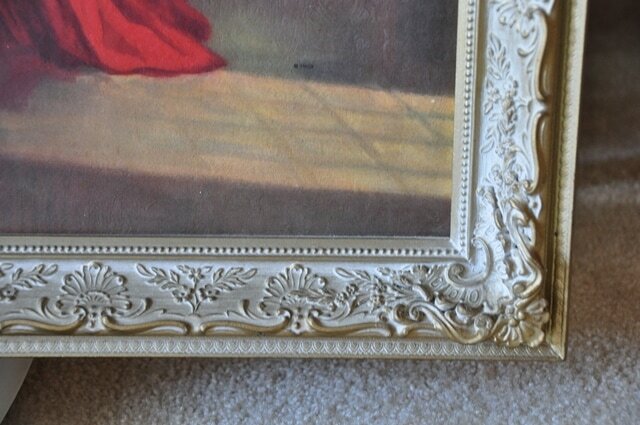 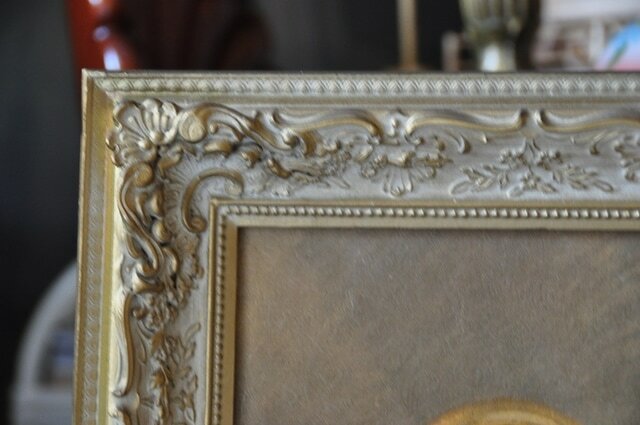 It is framed (28"x34") in a very ornate frame. The image is covered with oil paint like material, I believe for protection.